The sun has been shining all week long. Of course we made up all sorts of excuses just to be outside. Feels so good to be alive when it's finally warm enough to kick off your shoes and walk barefoot through fresh green grass. Here are few photos of what life is like right outside my studio door. 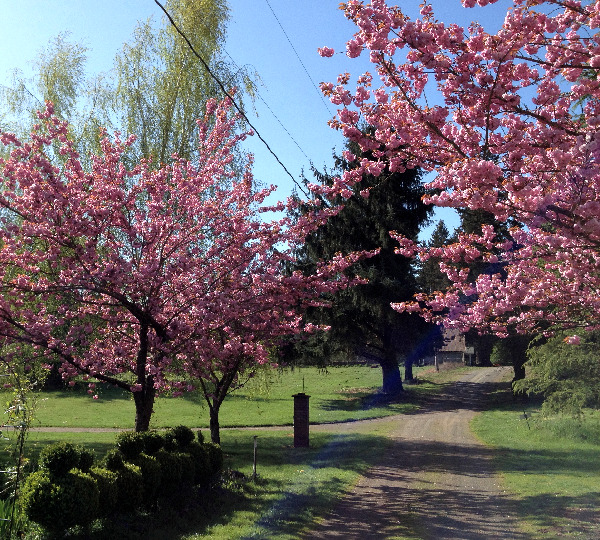 Cherry blossom trees in full bloom on our farm.